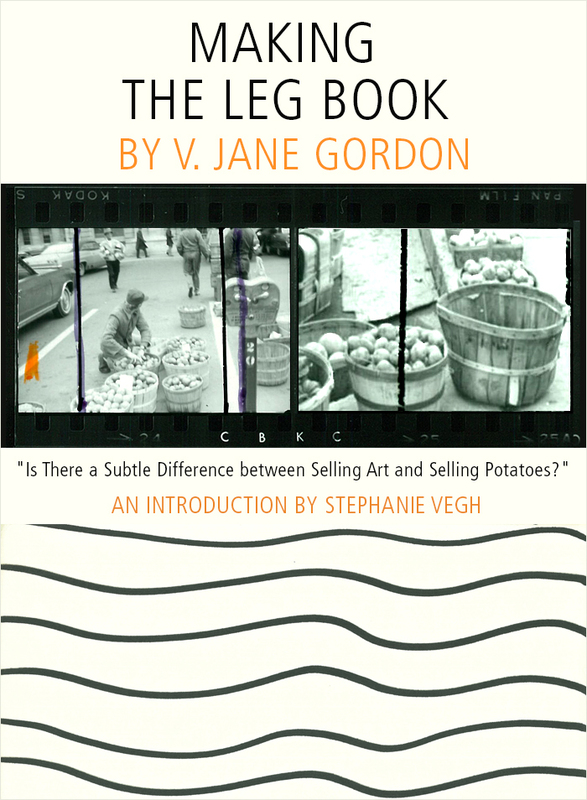 When V. Jane Gordon identifies The Leg Book as a “market work” she doesn’t refer to the market that preoccupies us most today — that faceless commerce that embeds thin slivers of excess throughout the art world. Her intentions are more fruitfully planted in a microcosmic metaphor for these conditions: the open air of the farmers' market where produce is unpackaged and exchange is negotiated through the language of barter as much as money. This is a site that Gordon inhabited in her efforts as a young art student to understand whether there was, in fact, a subtle difference between selling art and selling potatoes.